Our coupon organizers are made of quality canvas material. Plenty of plastic separators to organize your coupons. Separate into different categories using our sticker labels. Velcro closure and easily attaches to shopping cart to keep your coupons handy as you shop. With two patterns to choose from, these can make a great gift for the budget minded person in your life. 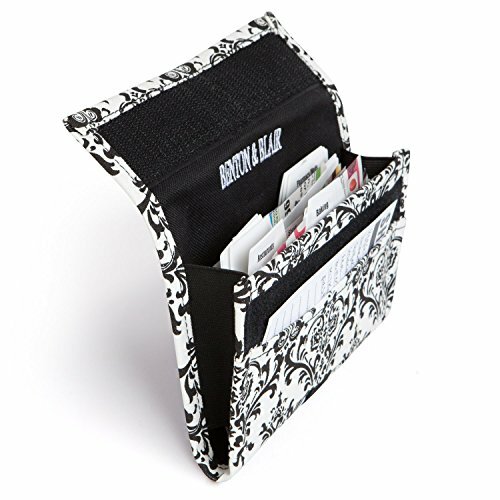 The Original Expandable Coupon Organizer was designed with the serious coupon shopper in mind. 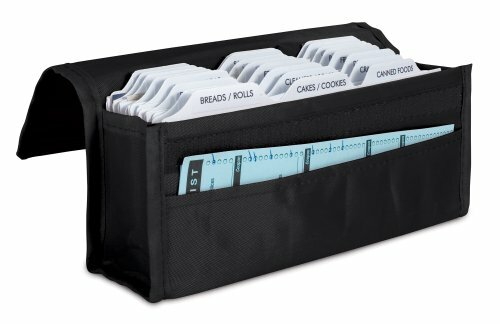 The Expandable Organizer has a gusset that will expand depending on the number of coupons enclosed-up to 2-Inch wide. The Expandable Organizer can hold up to 300 coupons and comes with 24 heavyweight card stock divider cards with 33 preprinted stick-on labels. Designed to snap on to the grocery cart-either on the back of the child seat or side of the cart-so your coupons are always at your fingertips. The organizer also features a front pocket which is perfect for your grocery list and/or discount cards. 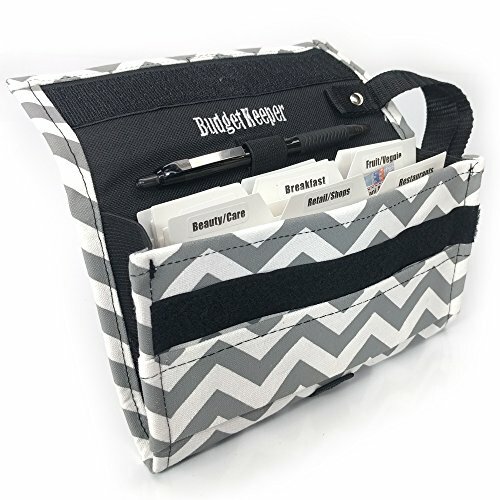 The Organizer closes tight with a secure Velcro closure so you never have to worry about your coupons spilling out. The Expandable Organizer is the perfect way to organize coupons and maximizing savings. This also makes a perfect gift for someone who enjoys saving money. Attention all coupon shoppers - Master Craft presents the Coupon Organizer Wallet so you are always ready for a great deal. This coupon wallet is perfect for all of your shopping needs. With its sleek compact design it slides right into your purse without taking up much space. Never again will you leave your coupons at home or buy the wrong brand. Master Crafts Coupon Wallet keeps you organized and saving money with ease. Master Craft's Coupon Organizer Wallet comes with twenty-four dividers and two sheets of self-adhesive labels - one sheet with pre-printed categories; the other sheet has blank labels for you to categorize as you wish. You will never scramble at the check-out line again when you have your custom organized Coupon Organizer Wallet. 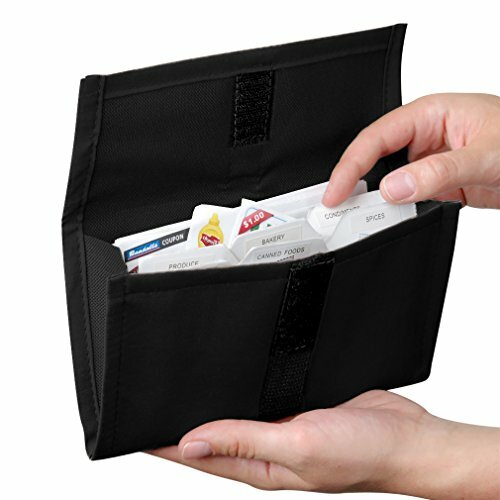 The coupon wallet is made out of durable polyester fabric with gussets on the side so it can expand as more coupons are added. 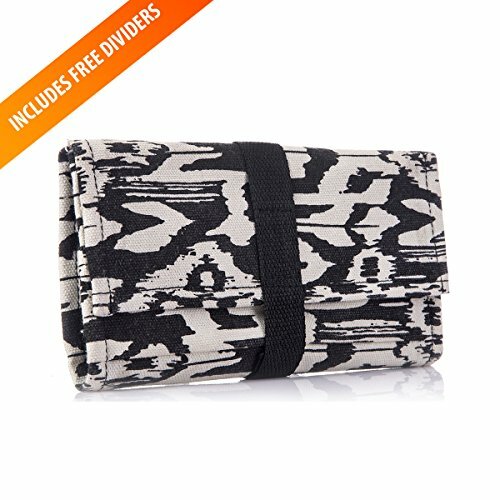 With a size of 8 Inch long, 5 Inch tall and 1.75 Inch deep this coupon organizer can easily fit in a purse or be stored in the car so that it is always on hand. Your inner saver will be so happy that you bought this organizer and it will end up paying for itself after a few trips to the store. Hey coupon clipper! This one's for you! The Evelots coupon wallet makes organizing coupons a breeze. Inside the coupon wallet are 24 dividers and 30 adhesive labels to easily categorize and find coupons. 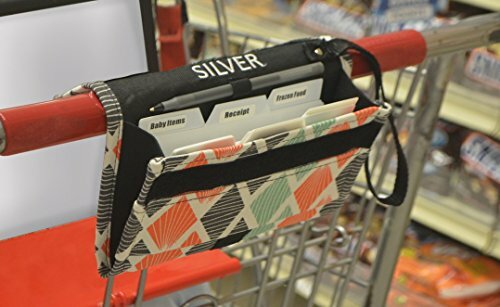 Designed with a velcro closure and strap to attach the coupon wallet conveniently to a shopping cart, stroller or grocery basket. Made out of durable black polyester-canvas material, so it's easy to spot clean. Perfect size for your purse or bag. Makes a great gift for your coupon-loving friends. Also can be used to organize receipts, business cards, or gift cards. Measures approximately 8.25"L x 4.5"W x .5"H when closed. When opened the wallet expands to 2". Comes in black. *Evelots is a brand of Green Mountain Imports, LLC and is exclusively distributed by Green Mountain Imports. *Evelots has more than 500 products to offer. Please don't forget to visit our Amazon store. For International Shipments: Import duties, taxes, and charges are not included in the listed price and are the buyer's responsibility. This coupon wallet makes organizing money saving coupons a breeze. Along with the coupon wallet you have 24 dividers and 30 adhesive labels to use to help organize your coupons and make it easier to find them! Coupon wallet measures approximately 8"L x 4.5"W x .5"H when closed. When opened the wallet expands to 2". Comes with a velcro closure and another area to attach the coupon wallet conveniently to anything for travel purposes. Comes in brown, made out of durable polyester-canvas material. *Evelots is a brand of Green Mountain Imports, LLC and is exclusively distributed by Green Mountain Imports. *Evelots has more than 500 products to offer. Please don't forget to visit our Amazon store. For International Shipments: Import duties, taxes, and charges are not included in the listed price and are the buyer's responsibility. C-Line, a leading manufacturer of office supplies with a product line that features storage, identification and organization products. 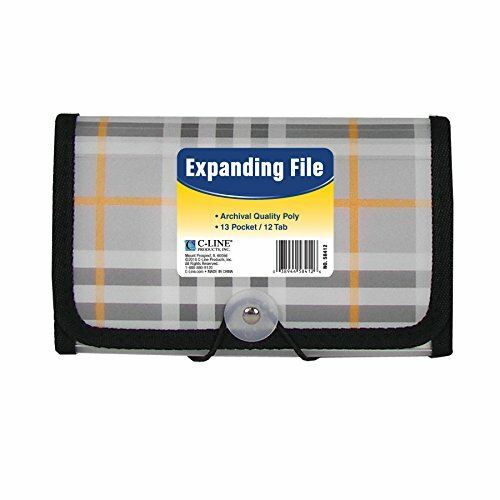 Organize your coupons and receipts in style with this fashionable C-Line 13-Pocket Poly Expanding File. They are made of durable, archival quality polypropylene to last throughout your shopping excursions. 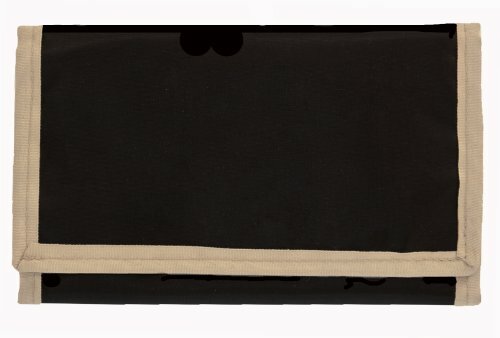 Each file also includes 12 preprinted insertable tabs, black stitched edges and button and elastic closure. C-Line Poly Expanding Files offer style and function in one, making them a great choice for your organizational needs. Looking for more Grocery Coupon Organizer similar ideas? Try to explore these searches: Style Pickguard Pattern, Fabric Walnut Table, and Hearts Desire Collection. Look at latest related video about Grocery Coupon Organizer. Shopwizion.com is the smartest way for online shopping: compare prices of leading online shops for best deals around the web. Don't miss TOP Grocery Coupon Organizer deals, updated daily.